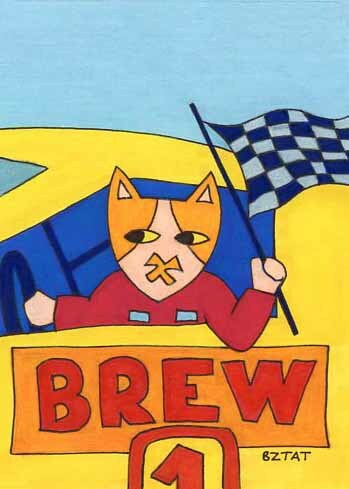 The Brew is zooooooming in Indianapolis, IN today, home of the Indianapolis Motor Speedway! 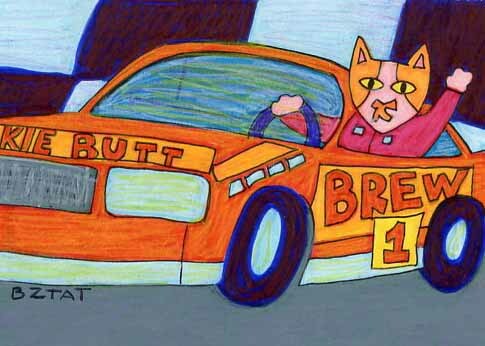 He was going to wait to go there until May 29 when the Indianapolis 500 will run, but he had a special request from a good friend for a racing trip. Also, after getting disqualified from the Kentucky Derby for using nip, he figured his chances were not good. So, he is in Indy today, taking the checkered flag! Highest bid at 10:00 pm EST on Saturday 5/14/11 wins the piece.